Seven-time United States National Racquetball Champion Marty Hogan details what it takes to play the game at the highest level. He draws upon his experience and expertise to provide an incredible collection of easy-to-use, yet powerfully effective tips. Among the topics covered are: rules and regulations, conditioning, center court control, forehand, backhand, the serve, return of serve, offensive shots, back wall play, tournament play and practice tips. This DVD will teach you how to perform at your full potential and excel in competition. 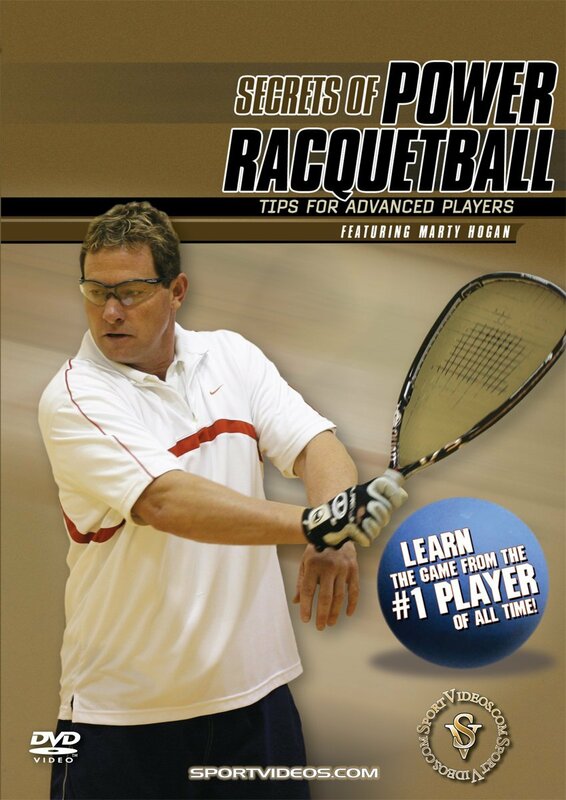 About the Coach Marty Hogan won more than 100 international or national racquetball titles and seven United States National Championships during his dominating 14-year professional career. He was ranked either number one or two in the world from 1976 to 1990. Hogan is credited with revolutionizing the game of racquetball with a serve that drove the ball as fast as 142 miles an hour. National Racquetball Magazine ranks him as the number one player of all time. Marty Hogan was inducted into the USA Racquetball of Fame in 1997.